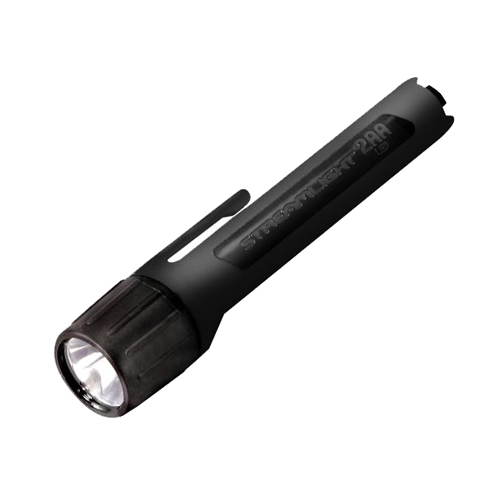 Maglite's first 1000-lumen torch, the black matte ML150LRX-7019 Rechargeable LED Flashlight employs patented heat sink technology that allows use of a bright LED for law enforcement, security and general-use purposes. 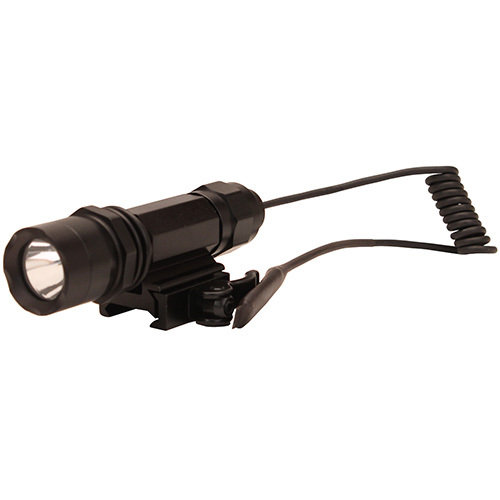 Packaged with a charging cradle that uses 12V DC direct lead, the ML150LR offers eco, low, and high power settings as well as a strobe mode, with momentary and constant-on operation, all controlled from a side-mounted push-button switch. 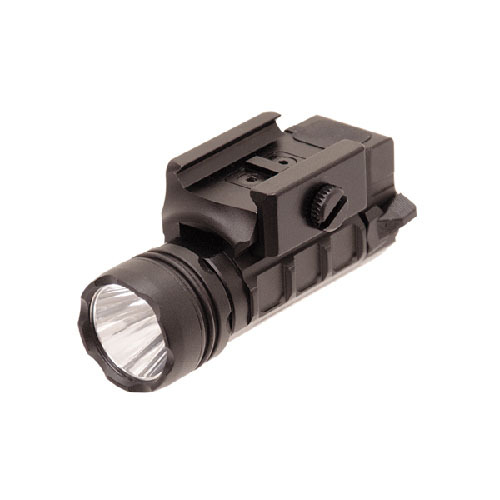 The settings are further organized into four function sets: General (high, low, eco), Outdoor (high, low, strobe), Law Enforcement (momentary, high, eco) and Tactical (momentary, high, strobe). 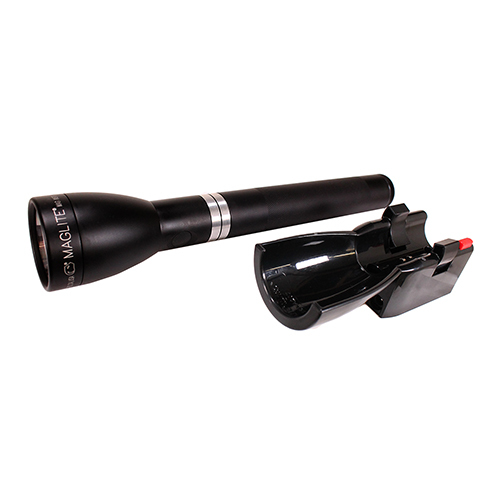 Runtimes range from 3.3 hours on high to 79 hours on Eco..
Spot-to-flood focus is adjusted with the classic Maglite quarter-turn head-twist mechanism. The light's three lithium-iron phosphate batteries recharge in about 2.5 hours and are rated for up to 1000 charge/discharge cycles. 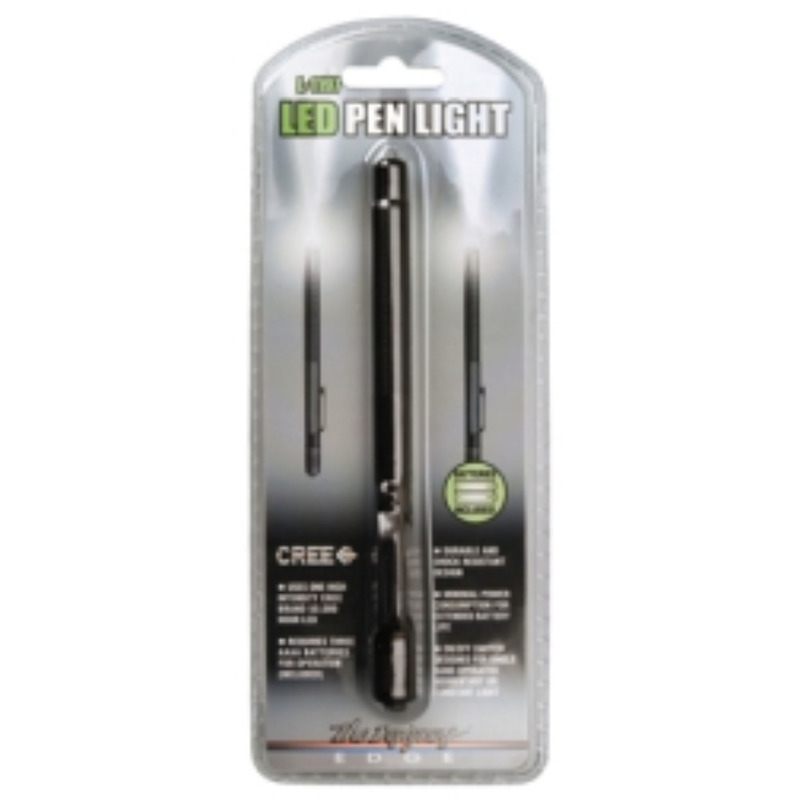 Measuring 10.7" long and weighing just under a pound, the light features an anodized aluminum housing and is IPX4-rated water resistant. 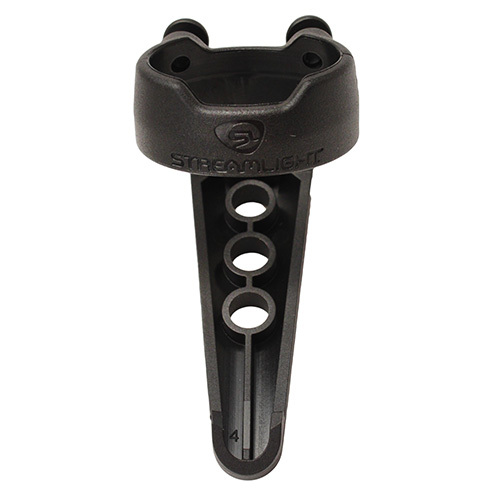 The charging cradle has a status indicator light and an ergonomic quick-release button, and is designed to grip the light securely - upside down if need be - even in a moving vehicle on rough road. - Fully charges dead battery in 2.5 hrs. 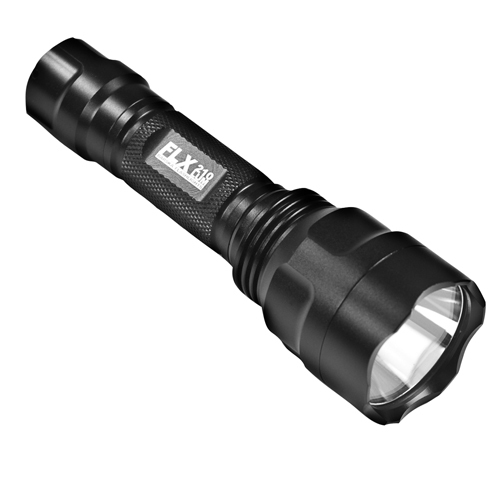 210 LUM, LED Flashlight, 3 Levels of brightness, Strobing pattern, SOS Pattern, tactical accents, pressure sensitive push on off button and beveled edge for added protection. 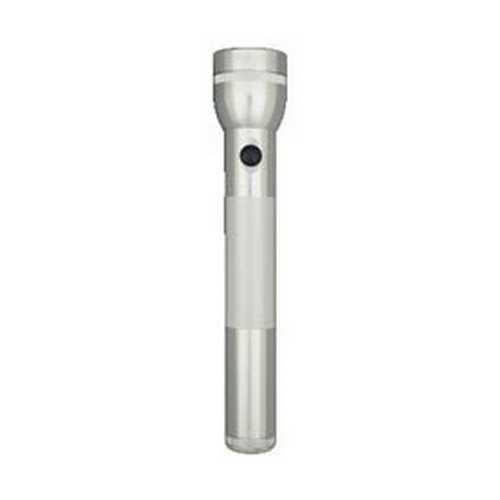 This flashlight will illuminate any situation. 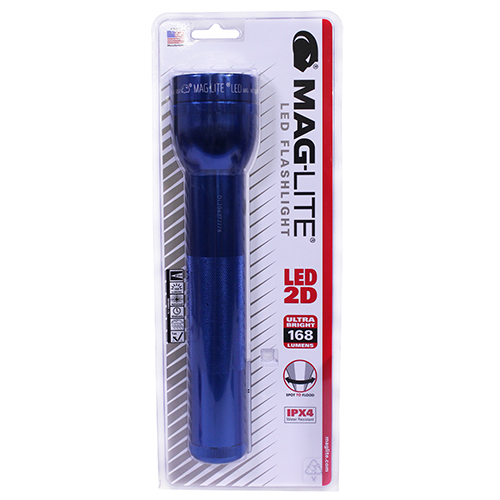 Maglite's first 1000-lumen torch, the black matte ML150LRX-4019 Rechargeable LED Flashlight employs patented heat sink technology that allows use of a bright LED for law enforcement, security and general-use purposes. 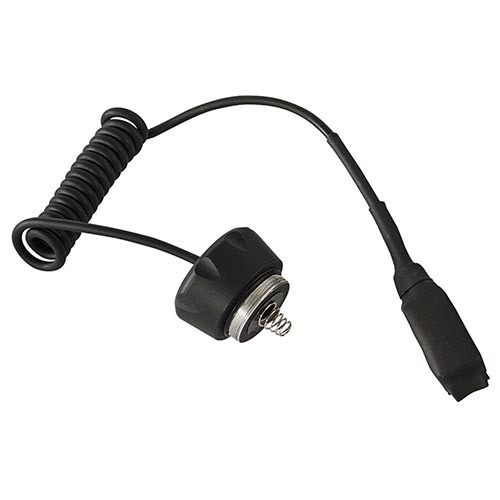 Packaged with a charging cradle that uses 230V CONV,12 VOLT DC CIG. 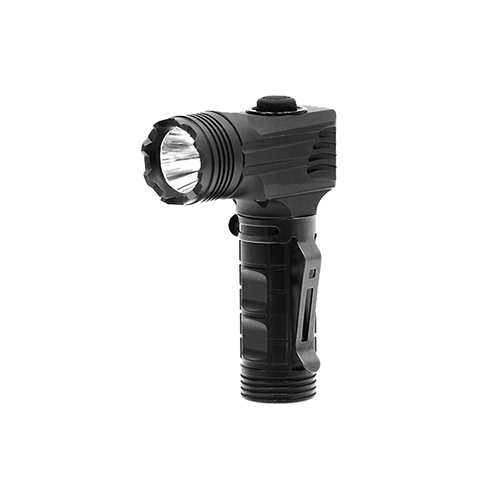 Lighter Adptr, the ML150LR offers eco, low, and high power settings as well as a strobe mode, with momentary and constant-on operation, all controlled from a side-mounted push-button switch. 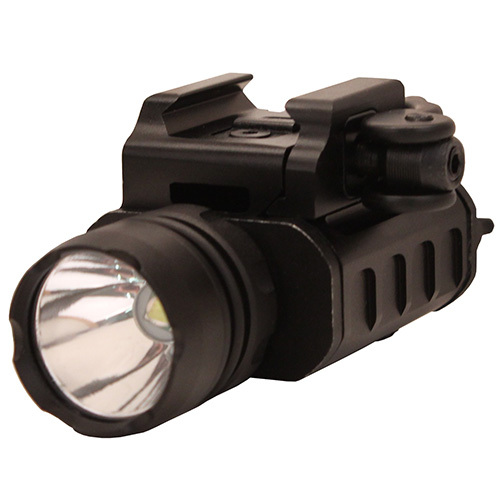 The settings are further organized into four function sets: General (high, low, eco), Outdoor (high, low, strobe), Law Enforcement (momentary, high, eco) and Tactical (momentary, high, strobe). Runtimes range from 3.3 hours on high to 79 hours on Eco. 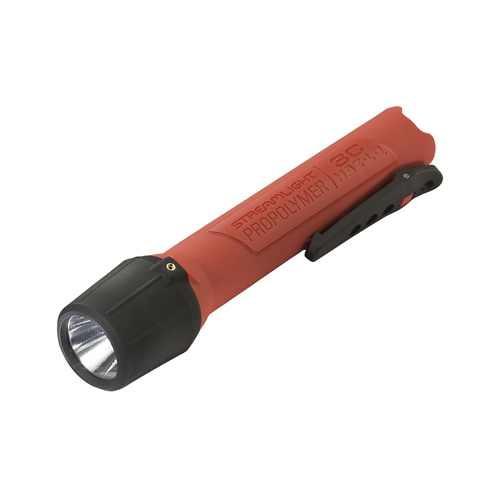 Styled in hot pink in honor of the National Breast Cancer Foundation, this Mini Maglite 2-Cell AA LED Flashlight from Maglite offers dependable performance in a sleek, compact, and durable package. With a maximum output of 97 lumens, the Mini Maglite features a bright beam that adjusts from spotlight to floodlight with a twist of the light's head. 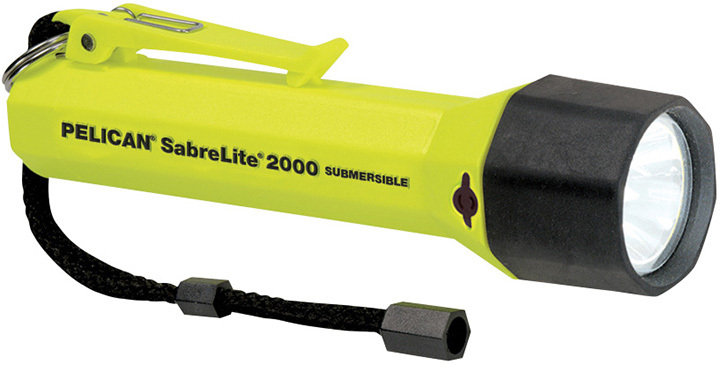 Along with high and low power, this torch features blink and SOS modes for distress signaling. Runtimes range from 11 hours on high power to 32 hours on low. 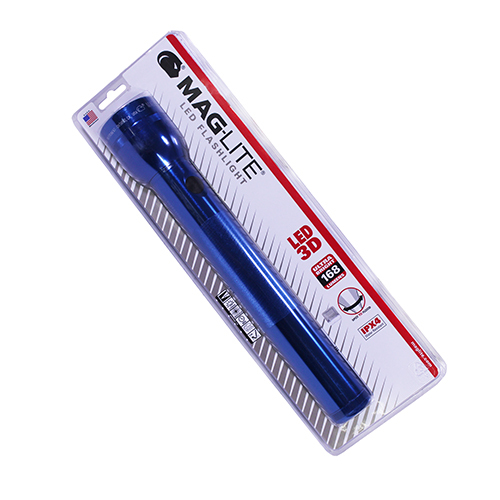 Constructed of an anodized aluminum alloy, the Mini Maglite is corrosion, impact, and weather resistant. The light comes in a handsome presentation box. 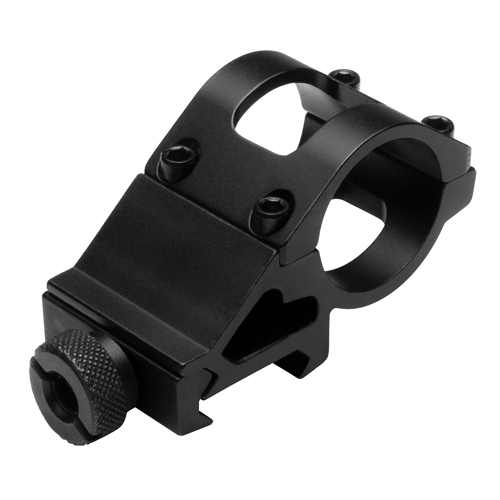 - Dimensions: 6.6 x 1.0"
- Weight With Batteries: 4.2 oz. 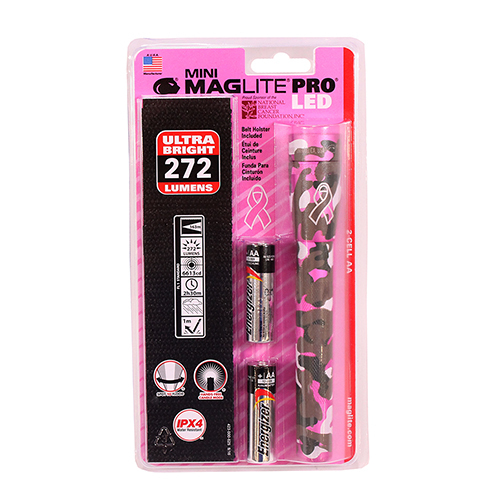 The pink camo Mini Maglite Pro LED Flashlight from Maglite features an iconic design paired with a 272 lumen output LED emitter. Twist the head to it turn on or off and also to focus the beam from a tight spot to a wide flood light. Its aluminum alloy body has a scratch- and corrosion-resistant blue finish and is O-ring sealed for water resistance. The striking pink camo pattern is in honor of the National Breast Cancer Foundation, of which Maglite is a sponsor. 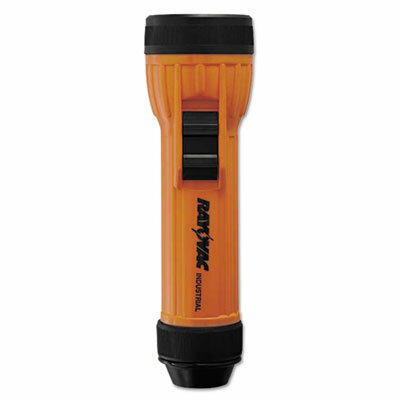 - Dimensions: 0.7 x 6.6"
- Available in high visibility orange. 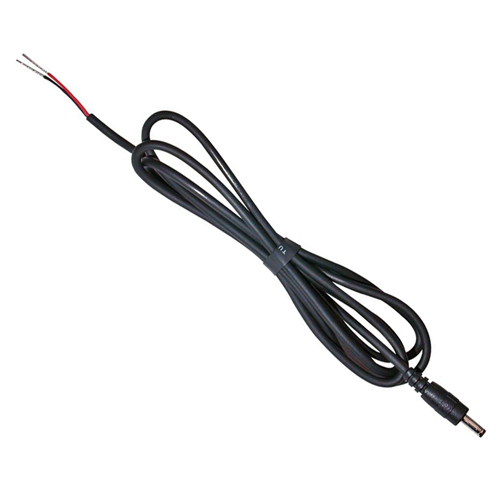 - RUN TIME: 18 hours to 10% of initial lumen output. See performance curve. 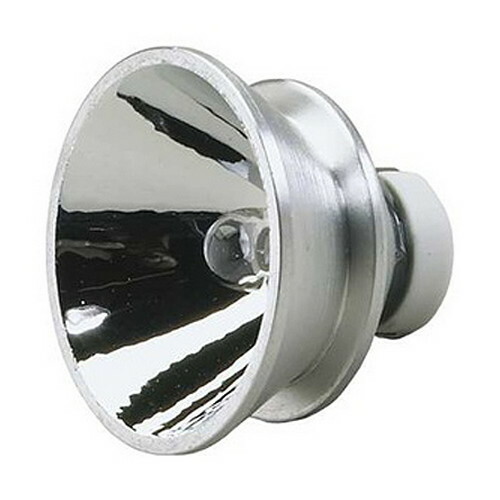 - Deep parabolic reflector produces smooth uniform beam pattern. 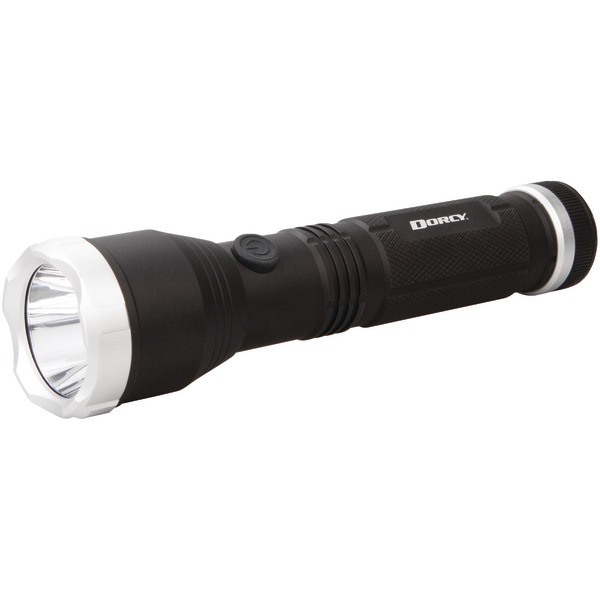 - LIGHT OUTPUT: 150 lumens, 7,000 candela peak beam intensity and 167 meter beam distance. - Weight with Battery: 9.8 oz. 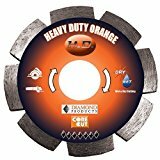 - Weight with Battery: 4.9 oz.